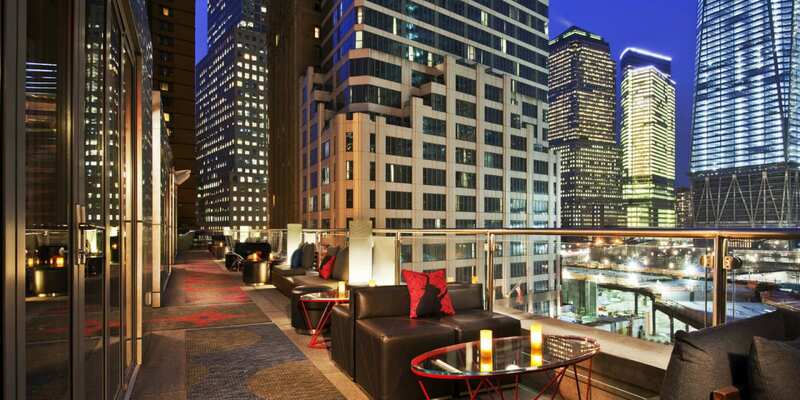 Undoubtedly, we absolutely love sipping on a drink on the rooftop bars in New York. 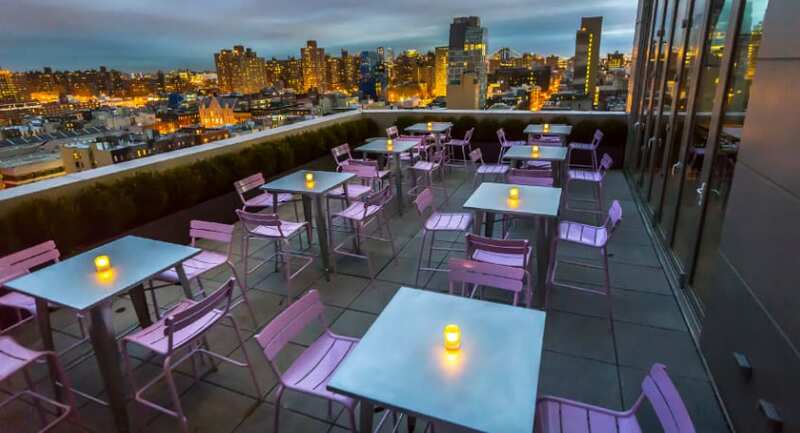 Now, that it’s summer in the city, dining on one of the rooftop restaurants NYC has to offer and enjoying the warm breeze and the view over the Manhattan skyline is high up on our list of best things to do in New York. New York City has an uncountable amount of restaurants, estimates go up to 25.000, and we know the struggle of deciding where to eat is real. 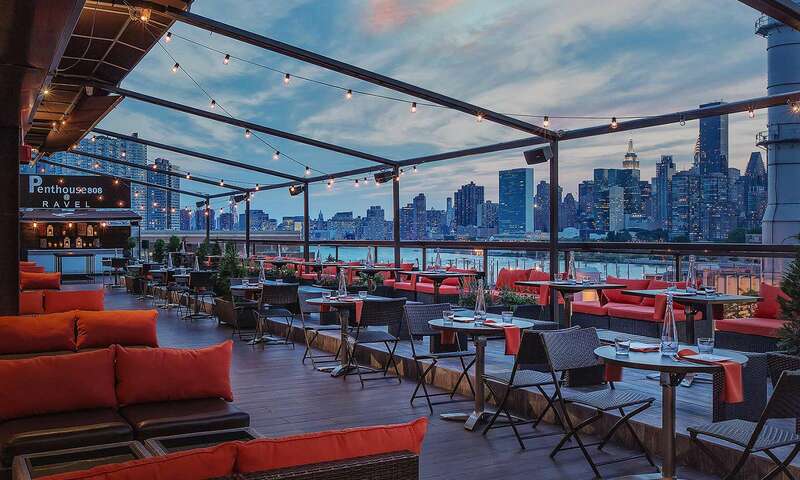 Therefore we came up with this list of the best rooftop restaurants NYC to make the decision a little bit easier and the dinner a lot better for you. Enjoy! Kind of by accident – after we visited the One World Observatory, the highest observation platform of New York – we ended up on Loopy Doopy. Loopy Doopy rooftop restaurant is located in Lower Manhattan in the area of Ground Zero and offers great views over the Hudson River. Fun Fact: In this rooftop restaurant NYC you will be served an ice cream with your drink. How cool is that? This is definitely a rooftop restaurant in New York locals love to go to. Even though it is only located on the 16th floor, it offers amazing views over Lower Manhattan and has a huge variety of food and drink options for you to choose from. You can eat at Mr. Purple at basically any time of the day, no matter if it’s brunch, lunch or dinner. The cocktails are priced at $16 and the interior and decoration make it a unique location which looks really good on pictures (as below) but even better in real. 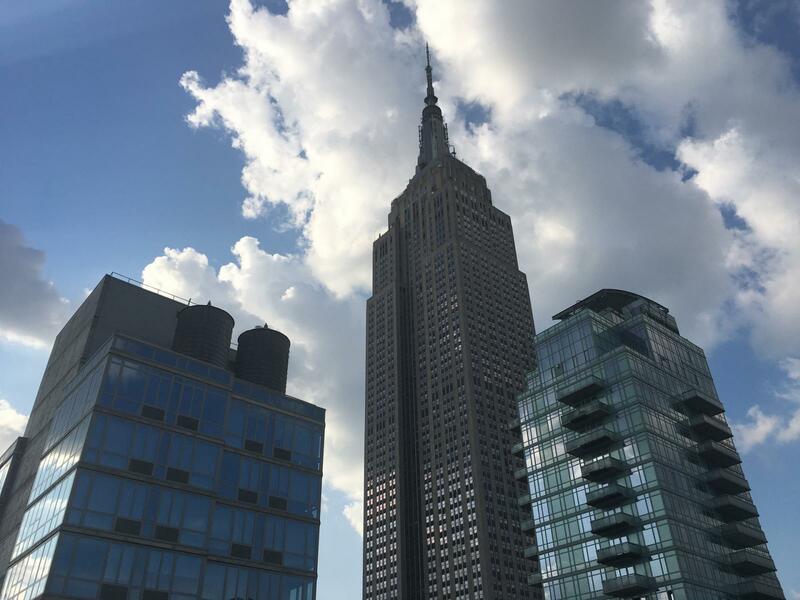 Looking for a small rooftop restaurant with an amazing view on the Empire State Building? We’ve got something for you. 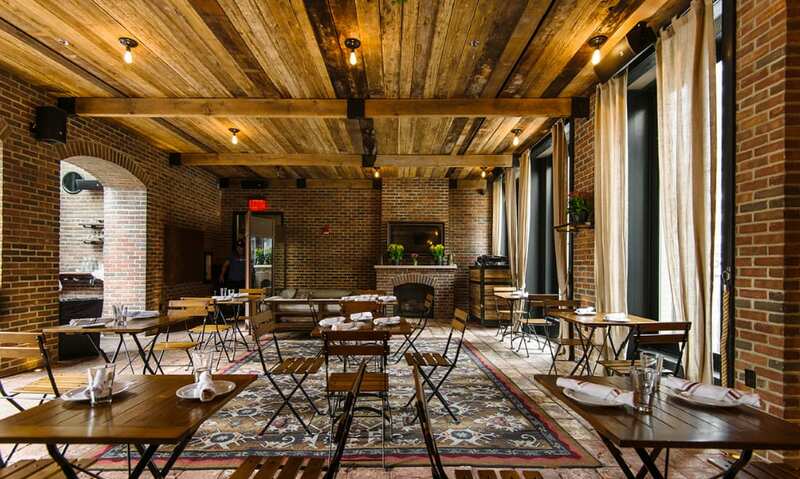 The Refinery Rooftop restaurant is a small place close to Bryant Park in Midtown. Spanning over two floors the rooftop restaurant is a cozy space for you to enjoy burgers, BBQ food, salads and tacos. 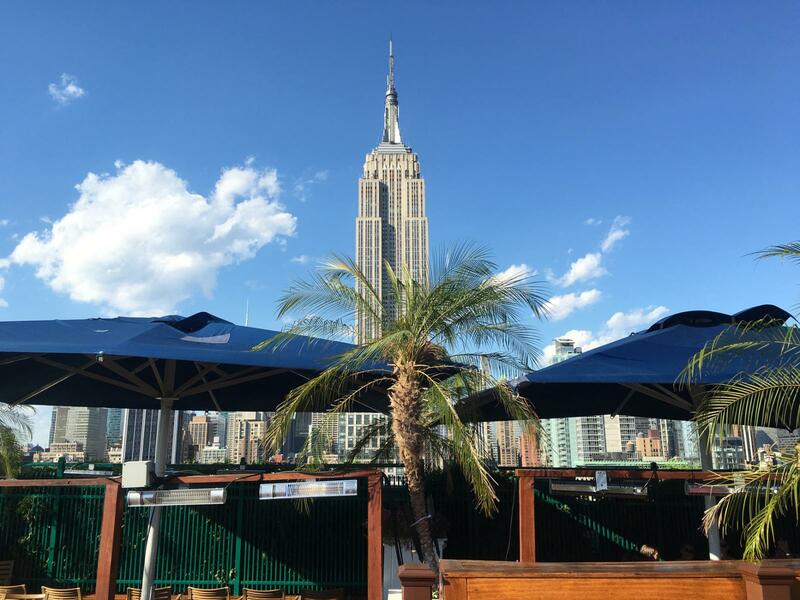 The great location and high quality of this place make it one of our favorite rooftop restaurants NYC. On top of the McKittrick Hotel you will find this absolutely romantic rooftop restaurant, which is the perfect location for a date night in New York. Overlooking the west side of the city, the sunset-romance and the fairy lights decorating this rooftop will make you feel a little bit more in love! 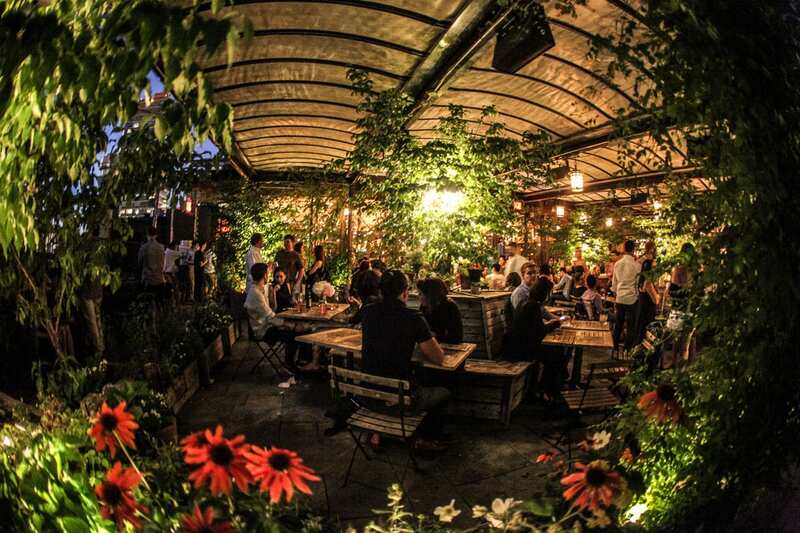 Food lovers will love the Gallow Green – you can basically have any type of cuisine here and everything is delicious. After being on countless rooftops I was surprised to find a really outstanding view on this rooftop. The Heights is a unique spot, as it offers panoramic views over Uptown and Downtown Manhattan. The drinks are fancy and quite unusual up here and you can pick from a variety of bar food. The view is worth it coming here. Fun fact: If you dare, stand on the glass-floor part of the rooftop which allows you to see through to the ground from the 31st floor. Scary but cool! Rooftop Bar. 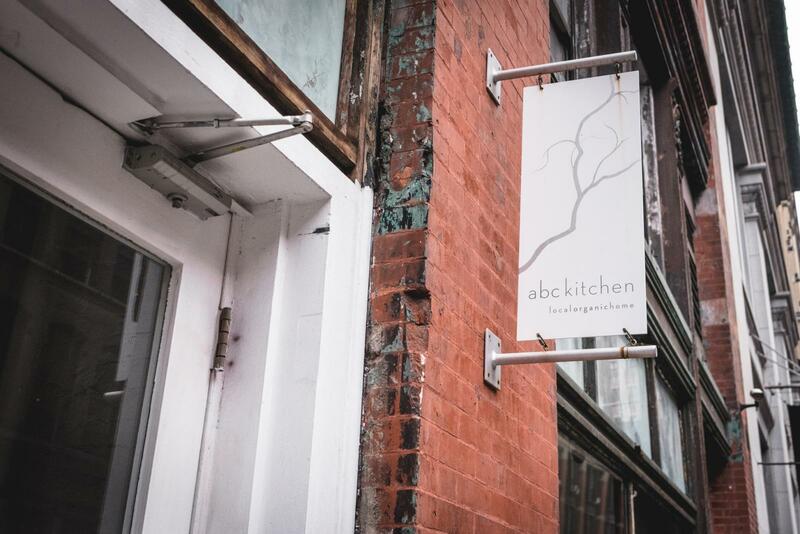 Their focus is – pretty self-explanatory – on Mexican deliciousness and margaritas. The guacamole is outstanding and all of this authentic Mexican atmosphere and amazing food almost make you forget that you’re on a rooftop restaurant in New York. A really gorgeous spot in the city is also the rooftop restaurant The Roof – even though the name might not be the most creative one, the view definitely is. On top of the Viceroy Hotel New York you can enjoy stunning views over Central Park, snacks and good drinks. 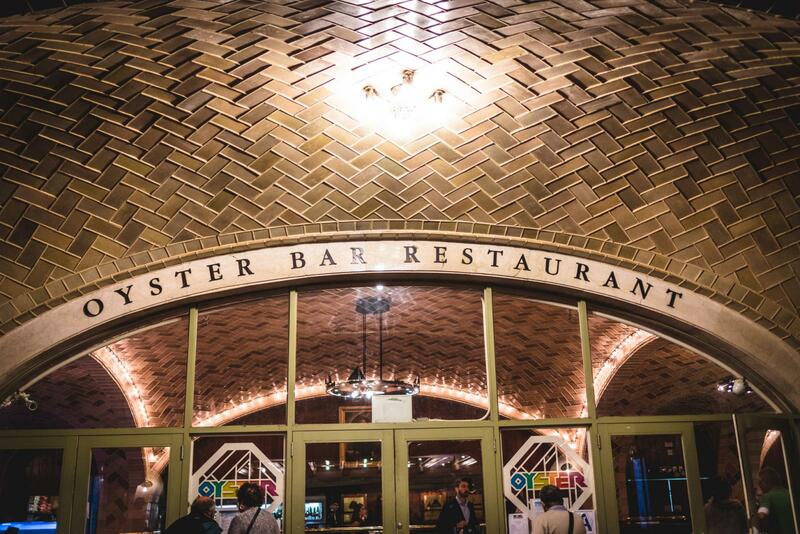 This is the perfect after-work-spot for you to grab drinks with your colleagues and get reminded of how pretty New York City is. You love German-style beer-gardens and pretzels? We have the perfect rooftop restaurant NYC for you: Berry Park Rooftop makes you feel like you’re in Germany in the middle of a cozy-decorated seating area with trees, plants, fairy lights and a nice view. The best things about Berry Park: the beer, sausages and pretzels are really authentic and turn this rooftop-visit almost into a trip to Germany. 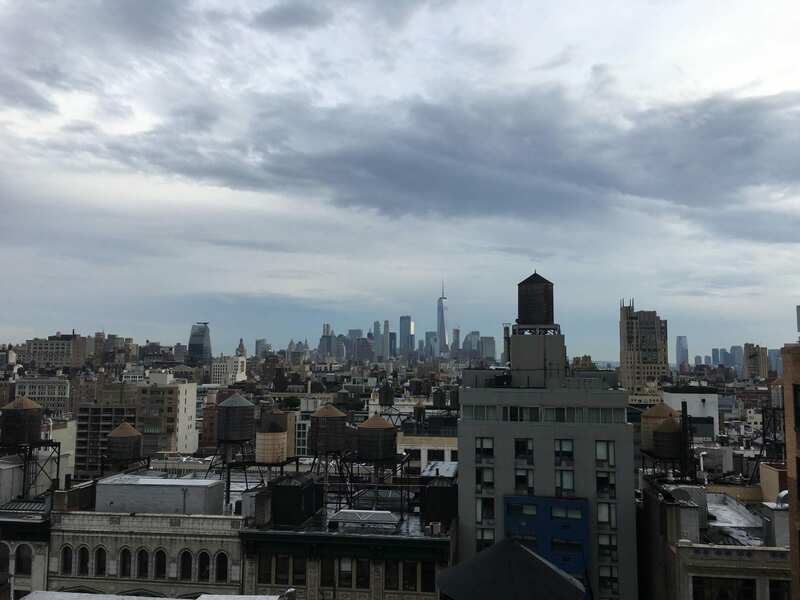 Another hotspot in Williamsburg, Brooklyn is the Ides Lounge which gives you outstanding views over the glorious city lights of the Manhattan Skyline. The cocktails and the atmosphere make this a really special night out, very well suited for a more private, intimate dinner with your significant other. Eat lobster, amazing paninis and other snacks and simply enjoy the view in this chic location.